My second favorite artist is coming to Mesa next weekend. This isn’t his best song, but it’s been too long since anyone has used the racism tag. He’s like Russell Brand and Zach Galifianakis all in one person. Sometimes I feel bad about enjoying these, but they’re really the only reason to read the State Press. Check this out: http://www.nytimes.com/2010/12/12/us/12backpack.html. 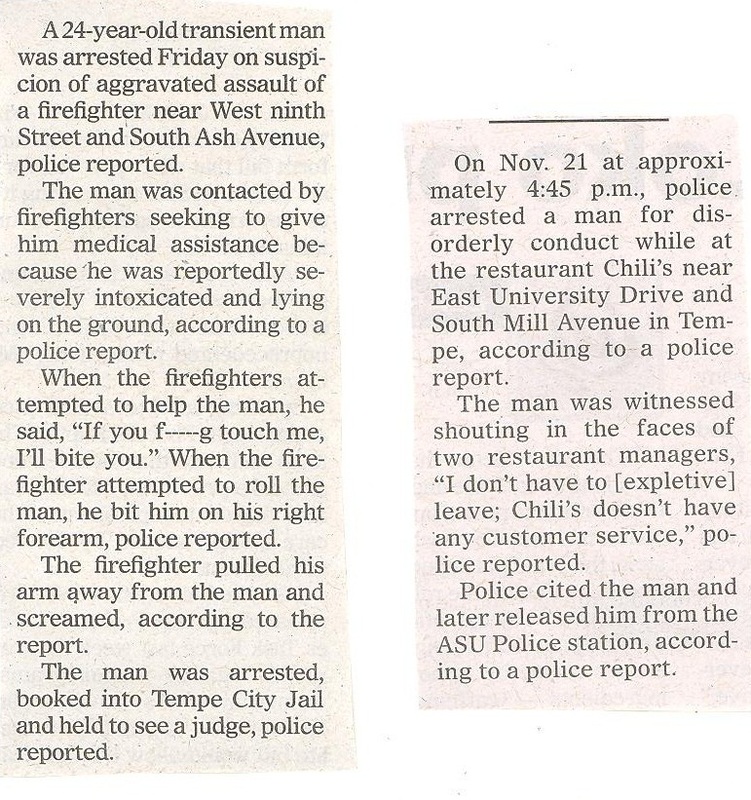 It is one step in the direction of portraying Tempe as not just a bunch of drunken derelict mathematicians. You thought I was going to say frat boys. HA! Got you. This is by far the most popular video on the youTube featuring Lafayette. I hope it’s not too accurate. Wow… that is the Tippecanoe Courthouse. That is exactly where we live.